ST. GEORGE — The Bluff Street Corridor project is 90 percent complete, according to the latest updates from the Utah Department of Transportation. 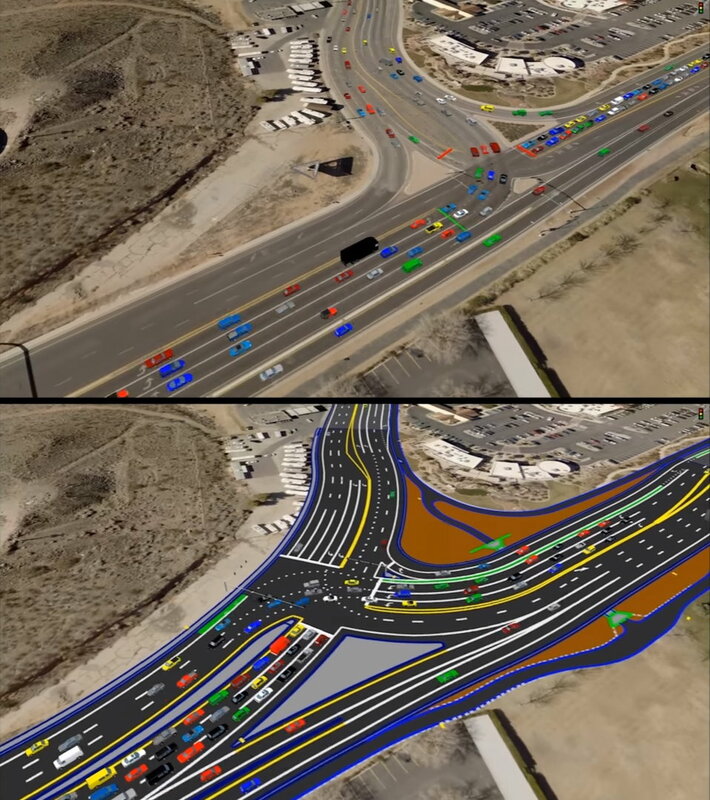 “Paving operations have ramped up with crews working nightly to avoid traffic delays, closed accesses and side streets, and other necessary inconveniences during daylight hours,” UDOT officials stated in a weekly email update Thursday. Day paving continues six days a week with alternating street closures projected to take places as the work continues. Motorists are advised to note that no parking is allowed on side streets during paving operations. Striping, signal light work, sidewalk installation, sign installation and trail work also continues. The final layer of paving is scheduled to begin Monday and will continue through October. Expect traffic shifts as crews begin placing the final driving surface throughout the project. Pavement markings will also be placed beginning shortly after the final surface is complete. Night and weekend paving will continue between 9 p.m. and 6 a.m. and carry through October until all paving is complete. This may include Sundays. There will be nightly street closures during paving operations. Please allow a little extra time if traveling through the project in the evening/nighttime hours. There will be nightly street closures during paving operations. Please allow a little extra time if traveling through the project in the evening/nighttime hours. Installation of curb, gutter and sidewalks will continue this week at various locations throughout the project. The pedestrian tunnel remains closed and under construction. Landscaping work will continue throughout the project through the end of November. The speed limit through the construction zone remains 30 mph. Dixie Drive or Valley View Drive connecting to Sunset Boulevard. Red Hills Parkway connecting to Snow Canyon Parkway. Dixie Drive has turned into a freakin’ freeway. Use at your own risk! Above comment is right, cars fly on Dixie dr, never. see a policeman..I think sunse5 to Bluff will be confusing to most people..I,m staying away..immad they allowed so many businesses to remain on Bluff st. The sidewalk goes right in front of businesses.. but I think they had it in with Council boys.. the Sthl colorland business is one in mind.. the cars have crashed in their before.. but now the owner works for the city so they were exempt? It’s still dangerous, businesses should be 25 ft back from rd..
North Bluff is a mess and I am not sure this project will make things better. There are problems with frontage of businesses and their lack of setbacks from the road. You are right, I’ve been watching reports on accidents and there are way too many. The road networks and about two names of every street doesn’t help either. Poor planning in my mind.